It’s the new year, and 20-greatteen (hehe, get it?) is going to be epic! So, let’s kick off 2019 with an amazing Ambassador of the month—January’s nomination is Sanana94. Sanana94 is an awesome Xbox Ambassador and Xbox MVP who is working hard to bring more of the Xbox community to his home turf in Italy. 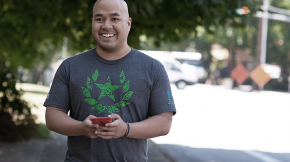 Alongside other passionate Ambassadors, Sanana94 hopes to connect to more Ambassadors worldwide and always finds ways to bring more Xbox cheer to others. 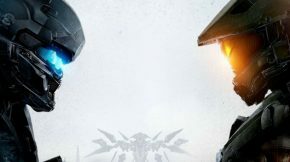 I’d go for Halo 2, although it’s very hard for me to choose, I love video games and there are a lot of sagas from which I keep some valuable memories. Halo 2 is such an important game for me, it was the reason why I bought an Xbox 360 and subscribed to Xbox Live in the first place. I wanted to be able to experience all those online matches I saw on YouTube videos. I wanted so deeply to connect with other Halo players in the world and I could never forget how an online Halo 2 lobby sounded like. For those who don’t know, “back in my times” there were no party chats, and it was not that easy to get in touch with other players from your country online, so whenever a new game started, you could expect a small concert of people from all over the world yelling the name of their country hoping to find someone. I was part of that concert with my very high-pitched kid voice. Until I found someone, and eventually started to play with other Italian Halo fans. I finally connected to other people sharing my same passion and started to move my first steps into the Xbox Community. I couldn’t have been happier, and I keep those memories very deep in my heart still today. What are some of your other hobbies? And/or, what are some of your goals as a gamer or outside of gaming altogether? I love spending some time out in the green, in a nice park or a forest. I love quiet places and to escape the chaos of cities when I can. I used to do motocross when I lived in Sicily. I also loved to go fishing or just go on boat trips and enjoy the sea. My life goal right now is to find a job in the gaming industry again, I had the opportunity to work on Call of Duty: WWII as a LQA tester and it really made me understand how great is to work with people that share your interests. I honestly hope to find something in the community management field and to start applying what I learned during the past years. Being able to put a smile in someone’s face and have an impact in our industry by making sure to share and highlight the best of what the gaming community has to offer would feel more like having fun than actually working. Mondays won’t feel like Mondays—if you know what I mean. Only time can tell if I’ll ever succeed, right now I’m more than happy to spend my time in my personal projects! 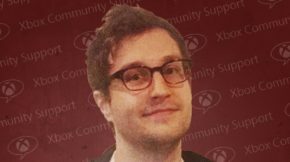 You’re not only an Xbox Ambassador, you’re also an Xbox MVP. How did you get involved in the Xbox MVP Program? 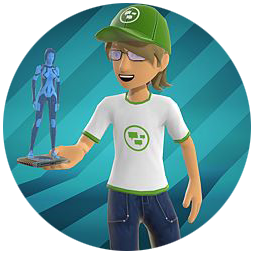 Firstly, I remember being intrigued by a spotlight of my local Ambassadors on the Xbox 360 dashboard. I read what they were doing, added a few of them to my friend list, and eventually understood that there’s more in our community than just games and how little things can have a positive impact in making everyone’s experience even more awesome. That’s when I said, “Wow this people look cool and they are really making a difference.” I kept stalking them until Xbox launched the Xbox Community eXpert Program (the precursor of today’s XA), which I applied and got selected for. After some years, I had the opportunity to run a Facebook group for the Italian launch campaign of Halo 4 and from that I got in touch with literally thousands of people from my country sharing my same passion for Halo. This was truly inspiring and got me into creating communities. I was super happy to see people building new connections and relationships in a platform I spend so much effort to make fun and engaging every day. I couldn’t have been happier to also meet an amazing group of people that helped me with pretty much everything. We eventually launched a website and even more communities, but that’s another story. My point here is that unlike most of others Xbox MVPs, I’ve actually applied for the award. If you think about it, why should you apply? It’s like “Hey I feel like I deserve an award and to be a part of the program”, but it’s more than that. For me, it is an amazing group of people I admire and really wanted to be a part of it. Being someone that is not highly visible doing most of the background stuff, especially in a foreign language, there wouldn’t be many occasions to be noticed. After a month or so the program got in touch with me, and today I am a part of this amazing group of human beings that go the extra mile to contribute in making the video game industry a better place. For those wondering, there isn’t a real formula on how to become an Xbox MVP. My advice here is to keep having fun while also bringing your contributions to the world! 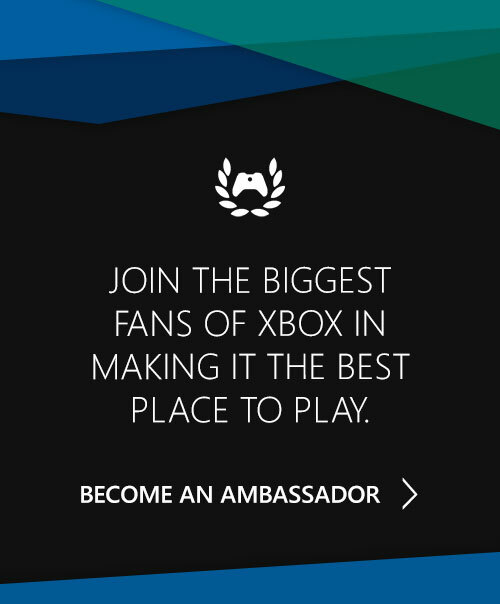 The Xbox Ambassador Program is a great place where to start moving your first steps in this direction. I don’t really know how I became a gamer, I’ve been gaming since I was probably 5 or 6 years old. I think my first game was Super Mario Bros for the N64, then I might have also owned a Sega Megadrive, but I was too little to know on what I was playing. Then I remember spending hours on Crash Bandicoot and Spyro on the first PlayStation, which for a while was my main platform until I got an Xbox with Halo: Combat Evolved, a game I had no idea of what was about and that was eventually going to have a huge impact in my life. I remember encountering the first Elite on the Pillar of Autumn. I got scared, so I supposed it was a horror game and I didn’t touch the game for months. After a while, I played it again, and as soon as I discovered what it was about, I was completely hooked by its universe. For years it was the only thing I could talk about with the other kids in my school. I remember having most of them coming to my house just to play Halo, it was very cool and something to remember! Open floor: tell us something that’s outside of gaming, give us some insight into you as a person. If I can help fellow community members to have a better experience with Xbox, I’m more than satisfied. The impact I hoped to have is already achieved by the amazing group of Xbox Ambassadors that we now have in Italy. 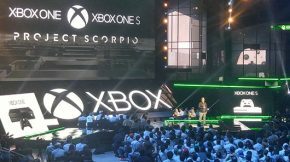 Those people are putting a lot of effort in spreading the word about our program and supporting it every day, you can read about our experience at the #XboxFanfest in the previous blog post. There are still a few things I would love to do, like starting streaming and share my opinions with a wider audience, focus more on my online profiles and so on … I guess everything would be easier if a normal day lasted at least 30 hours (lol). I’m super happy that you asked this question. The value of the word “community” is so dear to me that I’m not even sure I will find a good way to share it. Everything I do on the internet is often promoting the values of video games and how good these are in bringing people together and creating new relationships. As gamers, we soon build strong connections between each other and we fight together to overcome a common challenge, leaving us with an amazing sense of accomplishment and a great story to tell. We are unfortunately living in an era where video games are still associated with some of the worst aspect of humanity, such as violence or alienation. I’m really fighting to make sure people can see with their eyes how gaming is bringing out the best in us. Communities are capable of immense acts of love and support—it’s exactly like a plant. Feed them water every day, help them grew with love and dedication, spend your time making sure everything is all right, and eventually you will get your amazing flowers, and you will want to show those to everyone you know. Some communities are more troublesome than others, users may be toxic or disrespectful of your product, but in the end, it’s all about making sure every voice is heard and everyone feels welcomed and comfortable in spending their time there. The Xbox community was there in my darkest times and when I needed it most, it helped me in developing my character and it’s probably a big part of who I am today. I want everyone to understand how powerful it can be being a part of a community, no matter how much you contribute or what you do. It feels great and it’s such a positive thing that is worth sharing. I guess who’s been part of this program already knows it, but when you get in the Discord server and start chatting with other Ambassadors, you soon understand how likeminded these people are, how many things we have in common no matter where we are from. The multicultural aspect of the program is one of the most exciting things. You really hear crazy stuff from people all over the world and you never stop learning about them and their culture—it’s just so great! The Ambassador Program is comprised of different people from all around the world. What do you think brings so many people, from different walks of life together to achieve the same goal? The Xbox Ambassador Program became better when it turned into a community of likeminded people with an amazing passion for Xbox and for helping others. I’m sure the best reward for most of us are those messages on Xbox Live of people we helped thanking us for what we did. It’s such a genuine interest in having fun while also lending a helping hand that you don’t find easily in others. What we have is a very special place where to better ourselves, grow both as persons and professionally and, why not, also earn some cool swag! When you type your first “hello” in the Discord chat you soon get blown away by a lot of super welcoming faces, the real question here is who wouldn’t want to join this group? You’re from Italy, should pineapple go on pizza? 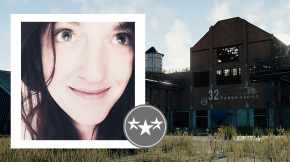 A huge thanks to Sanana94 for being Season 13’s first Ambassador of the month. Make sure to leave some love in the comments below and make sure to say hello to him via Twitter! If you have a nomination for the next Ambassador of the month, tell your Community Manager, we’d love to know your thoughts.